Sake is brewed, more like beer, and less like wine, as many may believe. The alcohol content of sake can vary from 15% to 20%, making sake quite potent. Some sake will have added alcohol, or “brewers alcohol,” which will increase the alcohol content and alter the flavor of the sake. Rice and water are the two main components of making sake; the quality of the rice and where the water comes from are important elements of the process and important elements in determining the taste and quality. 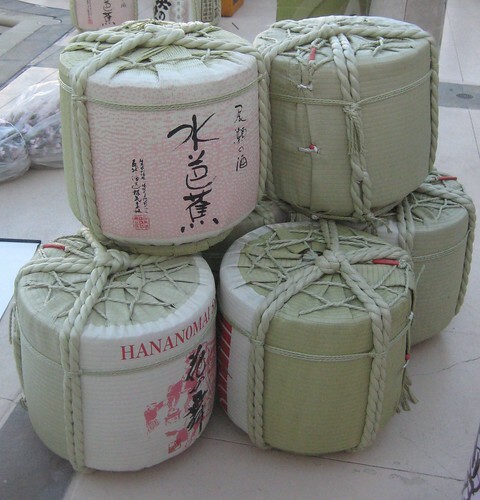 Sake is produced from various types of high quality rice. The rice is literally “polished” to remove the proteins and oils from the outer layers and only leave behind the starch. Most rice is polished where 70% of the kernel remains while the finer sakes are polished down to about 40% or even less. From there, the rice soaked, cooked, cultured, it rests, it matures and eventually it is bottled. Junmai: Made of rice, water, koji (cultivated mold spores). The rice is polished to 70% and it has a full, solid flavor. *Tokubetsu Junmai: means “special” Junmai it refers to more polished rice or special rice. Honzo: Exactly same as Junmai but has added alcohol OR brewers alcohol. You can also have Tokubetsu Honzo. 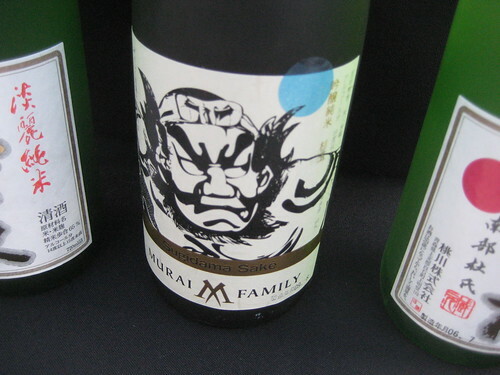 Junmai Daiginjo: Sub Class of Junmai Ginjo, highly polished, at least 50%. More precise & labor-intensive brewing process. Pinnacle of brewers art. Light, fragrant and complex. Daiginjo: is the same as Junmai Daiginjo but with added brewers alcohol. The sake brewmaster is a highly regarded position in Japan and his title is Toji. A Toji can only become brewmaster in one of two ways; he must be born into a family of sake producers, or he must be trained by a guild. I was fortunate enough to interview a few Tojis for this blog post (and my NEXT blog post). I was incredibly nervous prior to meeting the Tojis, I had a false impression that they would be arrogant and chauvinistic – I was proved completely wrong. Each of the Tojis I interviewed were total gentlemen, they were warm, polite and humble. The Tojis made me feel incredibly welcomed and they were happy to share as much information with me as they could. They were respectful of my ignorance of sake brewing and assisted in my learning process. They seemed appreciative that I was interested in their craft. Read on for more information on Sake Fever in Las Vegas and my interviews with the Tojis!